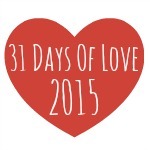 Our 31 Days of Love series continues. 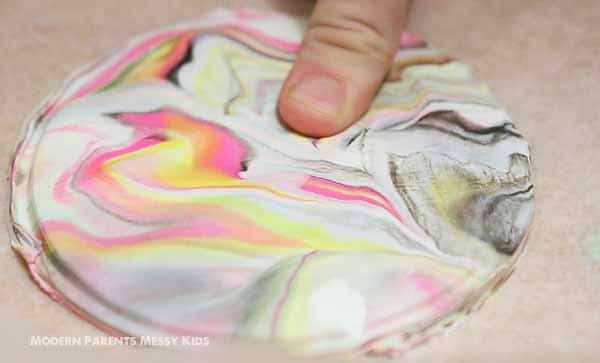 Today we share a lovely little Fingerprint Craft from Stephanie at Modern Parents Messy Kids. 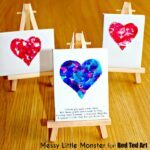 This is a wonderful keepsake craft, that doubles up nicely as a Valentine’s Day gift or Mother’s Day gift. 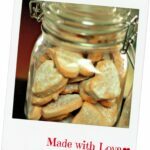 So be inspired and make it for Mum’s birthday or for another special day. Gorgeous. 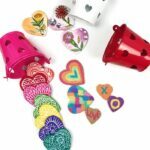 Lots of more Gifts That Kids Can Make ideas here! Hi guys, I’m Steph – mom to three young children, a lifestyle and parenting blogger, and the founder of Modern Parents Messy Kids (MPMK for short). 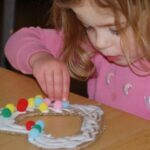 MPMK was voted Best Craft Blog in Parents Magazine and has been featured by The Huffington Post, Martha Stewart, Rachael Ray and more. Through the site, Stephanie and her team provide daily inspiration to thousands of parents on organizational projects for the home, healthy kid-friendly recipes, engaging playtime ideas, parenting tips, and ideas on what to do with all those family photos! I’m so excited to be sharing this project with you guys today as I’m totally smitten with how it turned out. 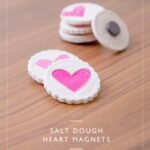 Although these sweet Thumbprint Heart Jewelry dishes are the perfect thing to make for someone special on alentine’s Day, we actually made ours for another reason… Our beloved nanny is leaving us this week and words really can’t express how sad we are to see her go. She came to us about a month before my youngest child (now nearly 10 months old) was born and has been such a wonderful addition to our family. Although she only stays with the kids for a few hours in the afternoon while I work in my home office, I still couldn’t imagine entrusting their care to anyone else. She has truly been such a blessing. Needless to say, we couldn’t send her off without something special to remember us by. 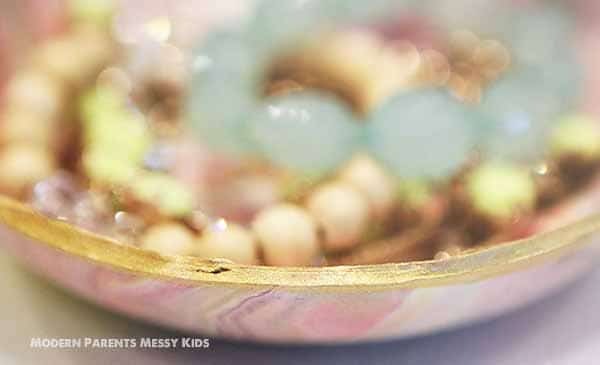 So we decided to make these brilliant marbled clay jewelry dishes via A Beautiful Mess. To make the project a little more personal, we added hearts made with two thumbprints of each child. Head over to the original tutorial for all the details on how to create the basic marbled dish. It’s so well done I don’t feel the need to re-write it here. As you can see, the one extra step we included was using each child’s thumb to make a heart in the dish before placing it in the bowl to bake. Once the dishes were baked and fully cooled, I simply dry-brushed a few light layers of gold paint over the hearts. This really helped to highlight the thumbprints and make them stand out in the dish. 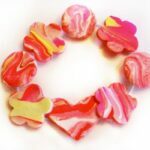 Use a lot more white clay than any other color for a truly modern marbled effect. I used a standard soup bowl as my mold for my largest dish and was really pleased with the size – perfect for bracelets and/or necklaces. I used a sparkly pewter color of Sculpey clay (instead of the plain gray suggested) and LOVED the sparkle that ended up running throughout the dish. I couldn’t find gold liquid gilding so I just used standard gold craft paint for the edges and the hearts and it turned out great. Don’t skip the glaze! 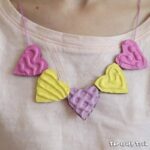 This really transformed the look of the dishes from kind-of-crafty to really gorgeous. That’s pretty much it but feel free to experiment! We played with the size of dishes as well as the form (one with a precisely cut circle and one more free-formed, draped over the bottom of a mason jar). I also liked the look of painting just the trim gold on the larger dish but the entire underside gold on the smaller ring dish. 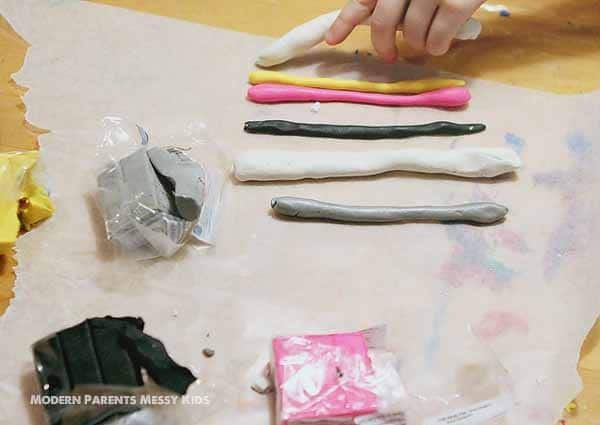 This is one of those projects that really can be done a million different ways – and it doesn’t take long at all to complete, even with the kids helping. I really hope you’ll try it! 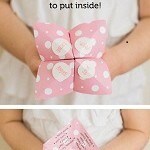 Kids’ Valentine Fortune-Teller & Knock-Knock Jokes! 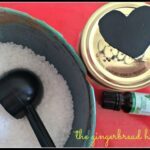 This is a great craft and very easy to do. Today I told the story of St Valentine to a 2 year old, a 3 year old and a 4 year old, then we made these dishes for their Mums. 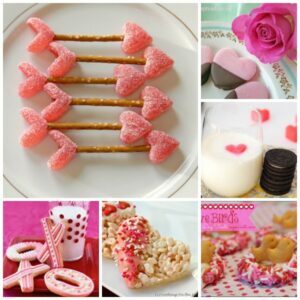 We cut out heart shapes for the bowls and balanced them on a muffin pan. They came out really well. Thank-you for the idea. We only put on one coat of glaze and omitted the gold rims, but the children loved them and so did their mums. How much white clay would you say you used? I am wanting to make three dishes, and I currently have 4 oz. of white. I’m wondering if I should pick up more before starting? I also have 2 oz of each the silver, black, yellow and pink.